Some weeks nothing is going on so you don’t see a Tuesday post. Boy is it different today. Earlier this year I joined the Yakezie Alexa Challenge started by Financial Samurai and it grew to a group of 100 bloggers. The first phase is over and the new phase going to be fun! 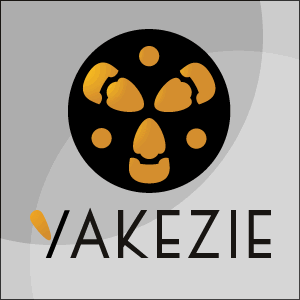 Yesterday the network’s website launched at Yakezie.com. Over the next few weeks participants will be introducing ourselves. Check it out and subscribe so you don’t miss a single post. Inexpensively is one of the Yakezie participants and hosted the Bacon, Eggs and Coupons Breakfast I attended at BlogHer. Heather Sokol is the founder and let me join the team. Check out my profile. I love seeing “featured author”. (Yes, I did use a picture from skinnier days but I plan to be there again…soon.) I’ll be writing here at least once a month. So be sure to subscribe and not miss any articles. Walmart’s booth at BlogHer focused on being green (very smart of them) and I had fun recording one of my tips that is good for the environment and your wallet. Watch the video and let me know what you think. I’m considering vlogging tips once in a while. We’re so glad to have you join our team! Thanks for the shout out – looking forward to publishing your articles on Inexpensively soon. One team one dream! 🙂 Thanks for highlighting the launch Bucksome! Congrats on the Inexpensively Team. You’re a great addition. Thanks, Mandy. I have now completed my writing commitments with two other sites to contribute too. I have and will continue to learn so much from the other members in both groups! Previous post: Are Younger Generations Better Prepared than Boomers for Retirement?